In an all-to-familiar turn of events, Starbucks has announced via email that they will be disabling the Starbucks Card Mobile app for BlackBerry after August 28. New downloads of the Starbucks app were actually discontinued back in October of 2011, but until now you could still use the app if you had it on your phone. The email Starbucks sent out to inform customers of the change instructs them to go to a Starbucks location to have their balance transferred to a plastic card before the 28th. While there is still hope that Starbucks is planning a great app for BlackBerry 10 devices, that hope is fairly dim. Their original app never got updated past the BlackBerry Torch 9800. I'm guessing if they respond to my inquiry about why they are discontinuing support, the answer would be similar to other companies in the past that abandoned our platform: "There isn't enough of a user base to justify the time and expense of maintaining an app for the BlackBerry platform." Of course, if your application only supports devices that are several years old, and not the newest devices or OS', the user base you are referring to isn't accurate. 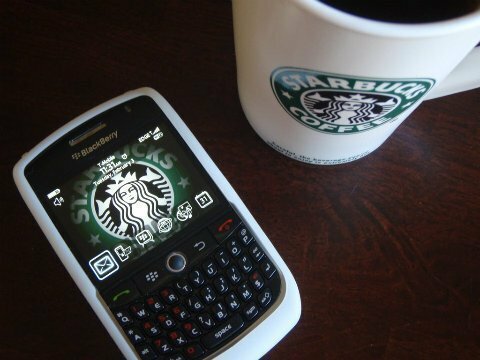 I'm sure more than a few of the almost 80 million people that choose BlackBerry would love to use the Starbucks app. Hopefully we'll be seeing a new app from Starbucks once BlackBerry 10 hits.